Acne or acne vulgaris is one of the most common skin conditions that affect teenagers, but also many people in there 20’s, 30’s, and beyond. Dealing with this condition can be embarrassing, frustrating, and also put a damper on your confidence and self-esteem. Acne is associated with redness blackheads, pimples and even whiteheads. And in more extreme forms it can be cystic and also painful. It occurs most commonly the face, but also the back, chest and shoulders. 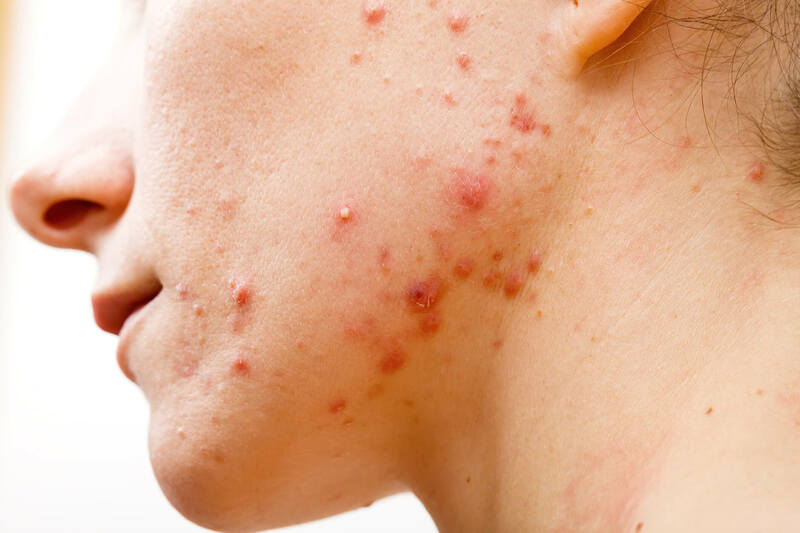 When it comes to acne, it can be brought upon by a number of factors such as stress, anxiety, lack of sleep, genetics, poor diet, and hormones. at Mederm Esthetics & Laser in Vaughan, we want to eliminate your acne problems with some great treatments and solutions. So why get an acne/deep cleansing facial? Antibacterial components are frequently used in a deep cleansing facial to avoid acne breakouts. Deep cleansing facials are suggested for people who have oily skin or for those who contain uneven skin tones. Both men and women are affected by acne, so both can benefit from specific methods involved in the process. It involves deep-cleansing facials, which usually includes a cleanser, toner and exfoliant. In addition, a mixture of detailed steaming, deep cleansing, facial removal to eliminate pore-clogging manual extractions to remove blackheads, whiteheads, a healing mask, and moisturizer. Overall, salicylic and glycolic acids are used to tackle acne flare-ups, which are regularly utilized with deep cleansing facials. Acne is a skin condition that has affected 50 million people worldwide. There, Blue Light Therapy is an additional treatment that is known to relieve acne and provide effective results. Blue Light Therapy is a treatment that uses non-laser sources of (LED) light, which lend a hand in thwarting the common pimples that many people get. In addition, they are usually associated with redness. When light is placed on the affected areas of the skin, it makes its way into the skin and it can assist with eliminating acne bacteria and also eliminate inflammation and excess oil production that is a factor associated with acne. Blue Light therapy can be beneficial for many as it is easily accessible and reasonably priced. In addition, following a number of treatments it can be excellent for even skin tones, rosacea, active acne including cysts, redness and hyper-pigmentation. If you are looking for healthy-looking skin and to get rid of your acne troubles, this can be accomplished with a chemical peel for acne and even acne scars. An acne chemical peel works by placing a chemical solution on the skin. The solution will make the skin peel between 2-7 days. As the treated skin comes off, new skin restores it, allowing a healthier glowing skin to appear. smoother and healthier. At Mederm Esthetics & Laser in Vaughan, we make beautiful skin happen by making it healthy. At the end of the day, there are lifestyle changes that you can incorporate in your everyday life to improve your skin. Contrary to belief, your diet plays a part and maintains a relationship with acne. Studies have suggested that you can reduce your breakouts by including more whole grains, beans, and vegetables in your diet and try to eat less white pasta, white rice, white bread, and sugar. addition, it will hydrate your skin. Lastly, you’ll also want to avoid eating too much greasy foods and chocolate.